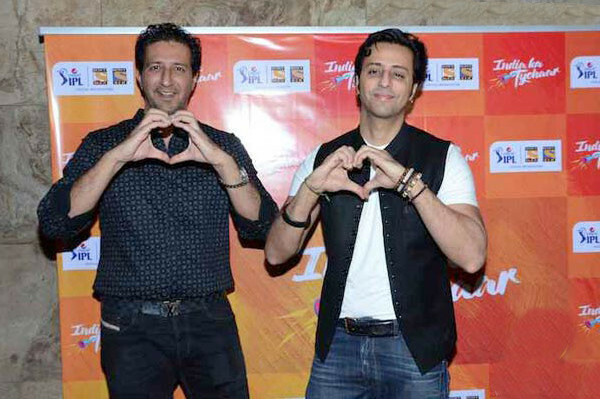 B-Town's ace composers Salim-Sulaiman have collaborated with singer Benny Dayal to make an anthem titled "10 Saal Aapke Naam" for Indian Premier Leagues (IPL) upcoming 10th season. Salim says the anthem is dedicated to IPL fans. "10 Saal Aapke Naam" is sung by Benny. "IPL is such an amazing occasion of celebration in the country and I felt like whatever we composed whether it is ‘10 saal' or it is some other concept, the feeling of celebration is very important," Salim said in a statement. "The whole concept of dedicating this season to all the fans was such an incredible thing because the fans have made this big. Whatever you do today -- whether it's a movie or a song - it's all about the people," Salim added. IPL has previously had anthems like "Ek India Happywala" and "India Ka Tyohaar". While sharing his experience, Benny said: "When I walked into the studio, they played me the whole song. The scratch was in Salim's voice. I was like, 'Salim, this is going to be damn huge'. But he said, 'No, it is not yet there' because he was still working on the song." "He is always very critical about his song. This song makes people emotional and at the same time this is a very strong anthem for people to sing it. The recall value of the song is very high."